A narrow wooden planter ideal for narrow pathways or if you dont have a lot of space. An ideal patio planter for brightening up decked areas. 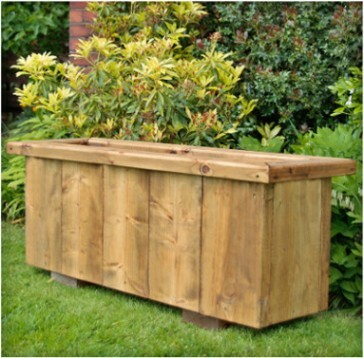 The increased height makes this wooden planter ideal for deeper rooted plants and shrubs and for growing root vegetables.